Silk wrote: In much the same way, some people will buy speaker cable at over £100 a metre, even though the science tells them in isn't worth it. That's nothing - I know of directional CAT5 cable (It's a bi-directional system and it's digital) between network servers and audio DACs and audiophiles who can tell the difference between different network servers. trashbat wrote: Edit: they may add additives at the station, I have my doubts, but additives shouldn't change your fuel economy. Those of us old enough, may remember "Formula Shell" (late 80s) - it did improve my economy by about 10%. Unfortuneately, it also buggered small Vauxhall (amongst others) engines. That was an additive, put in at the filling station by the tanker driver when a load was delivered. Probably from the sand left in the castings. hir wrote: So, is Shell and BP fuel the same, or isn't it? I suspect that on the Isle of Wight it might be. Curious! Especially since there's a chuffing great Exxon refinery just across the water at Fawley! Maybe the ferry companies will only take petrol tankers on board one day a week, so that if they blow up, they all go together? ChristianAB wrote: I will invite you to drive as a passenger in my car. Then you will stop laughing. I'm not laughing. I don't sell the stuff. It seems to me that, no matter what the hobby, there's no shortage of fools out there who will spend vast amounts of money on things that make no provable difference outside of their own imaginations. Indeed, you ARE serious. You must be very confident to be so definitive on something you have not seen with your own eyes. Worse, you imply that I somehow convinced myself of something that isn't there. Well, maybe so. Either way, I guess a third pair of eyes is needed. There have been numerous reports in the motoring press over the years warning about fuel additives. In the end, it's (almost) a free country and you can choose to spend your money on whatever you wish within the bounds of legality - bearing in mind, those who exercise these same freedoms in order to sell you the stuff are equally free to have a laugh or two at your expense. In much the same way, some people will buy speaker cable at over £100 a metre, even though the science tells them in isn't worth it. Why do you so readily trust those reports over the views of the people driving those cars? Certainly, from a scientific perspective, it does not seem at all difficult to produce a fuel additive that would actually do what it says on the tin. Whether the ones you buy at your local fuel station are actually (there and) effective for your particular engine and driving style is another matter. But I would reserve my judgment until I see it for myself. That you don't is what is puzzling me. A few years ago, I enjoyed go-karting at a track in Milton Keynes. And over there, they would use the same spec of go-karts as the ones used at a track in Sandown Park. However, a few regulars had reported on many occasions to the chief mechanic that karts at one track didn't seem to have the same level of power as those used on the other track. No way, he'd answered every time: same spec, same engines, roughly same mileage, so should be the same power. Until one day, they brought karts from the two locations to only one of the two tracks, tested them and measured the lap times. Lo and behold, surprise surprise, there was a consistent difference in lap times. They took the karts apart, again and again, and yet couldn't find anything that could explain the discrepancy in lap times. In the end, through trial and errors, they realised that at one track, they were adding, from time to time, fuel system cleaners in the karts' fuel. They tested the idea and indeed, the discrepancy in lap times disappeared. This story is from the chief mechanic himself. Anecdotal evidence to support anecdotal evidence. I can quite believe an occasional dose of fuel system cleaner working but what I don't get are the 'snake oil' additives that suggest by regular use you will boost power, improve fuel consumption, smooth combustion etc etc. Independent test have shown them time and again to not live up to their claims. Remember the magic magnets that clamped around a fuel pipe would do all sorts of wonderful things? I seem to remember part of their justification was, they had been supposedly 'hushed up' by the large fuel multinationals...conspiracy theorists unite! It's yet another example of confirmation bias at work. If one spends a lot of money on something one will inevitably convince oneself that things are better. Dave alluded to audophiles earlier, typically middle aged men whose hearing (as will all of us old fogeys) is not what it once is, who convince themselves they can hear differences that a teenager could not hear. There are some youtube videos where folks have tested fuel additives and used scopes to examine the insides of the engine afterwards (have a search of youtube user Chris Fix) - it's quite striking how little difference many of the additives make to carbon buildups at all. That being said premium fuels can give performance/economy improvements in some engines which can adjust their timing etc to take advantage of the mixtures, wheras other engines (typically at the lower performance end) it really makes no difference what you use. In the UK all fuel comes from the same handful of refineries, each refinery supplys it's own area and all fuel in that area comes from the same source - the various brands add their own proprietary mixes of additives (as the tankers are loaded) - that's the only difference. 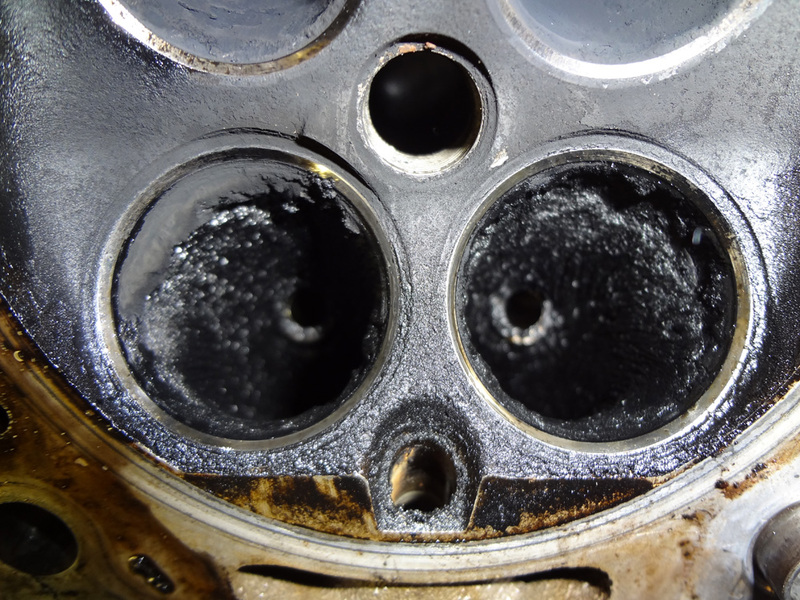 The biggest issue that the moment is inlet valve carbon build up on direct injection vehicles. Both car manufactures and the oil companies are working to try to find a solution to the problem. michael769 wrote: The biggest issue that the moment is inlet valve carbon build up on direct injection vehicles. Both car manufactures and the oil companies are working to try to find a solution to the problem. The problem of course is because of a lack of a wash effect from the fuel. Unless you could produce an oil that has no vapour, and even then you have exhaust gas recirculation to contend with, then neither fuel additive nor oil improvement will resolve anything. Some manufacturers have resolved it by reintroducing port injection for the purposes of cleaning. Let's put an end to all the scientific hocus pocus: look at the question...when is it too much?. The answer is simple; when Silk says it is.